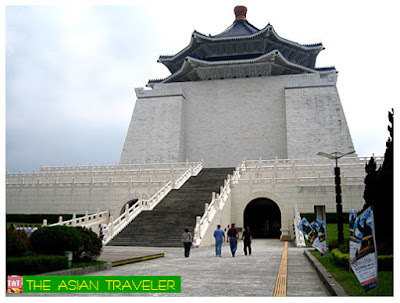 We decided to book a half-day city tour (NT$ 900 per person) with one of the tour operators in Taipei. 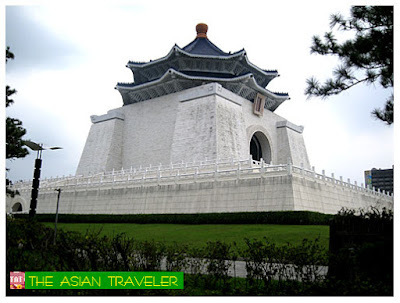 The tour highlights are the following: Drive past Presidential Building, Chiang Kai Shek Memorial Hall, Martyr's Shrine (War Memorial), National Palace Museum, Chinese Temple and a Handicraft Center. 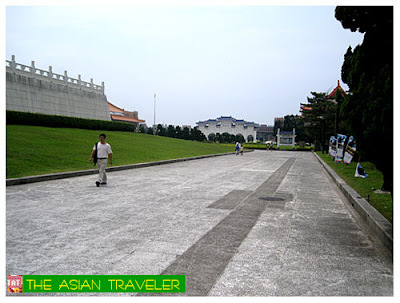 The next morning after breakfast, we were picked up at the hotel lobby by our tour guide and we were off to see the grandiose National Chiang Kai-Shek Memorial Hall located just in the heart of the city. 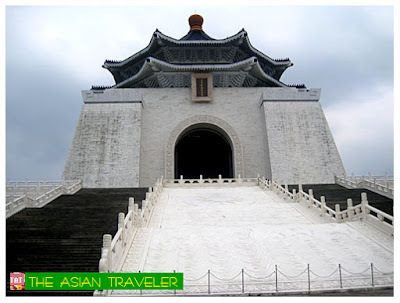 This place is a remarkable monument built in memory of late President Chiang Kai-Shek. 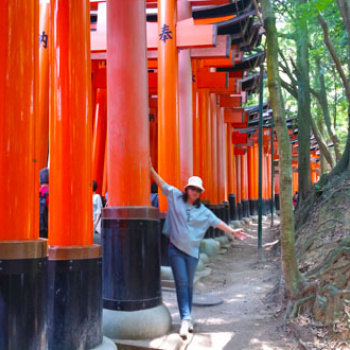 It is a beautiful scenic spot for tourists. 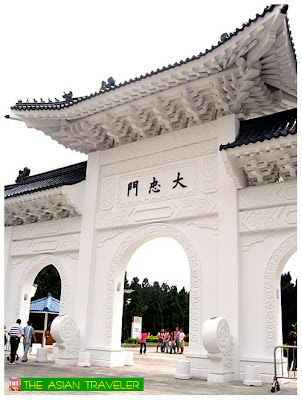 Upon arrival at the central arch, one that immediately caught our eyes is the white marble walls and blue glazed octagonal roof of the giant edifice that stands out over 25 hectares of landscaped gardens, lovely pavilions, ponds and miniature hills. The vivid color of vast green grass and plants provides beautiful and picturesque scenery. 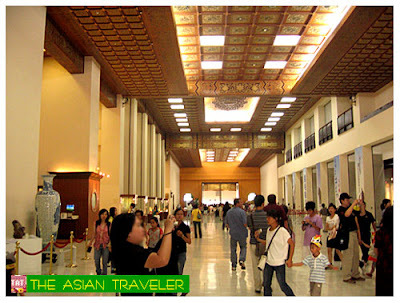 Inside the main building on the first floor are the exhibition halls, art gallery, auditorium and a gift shop. 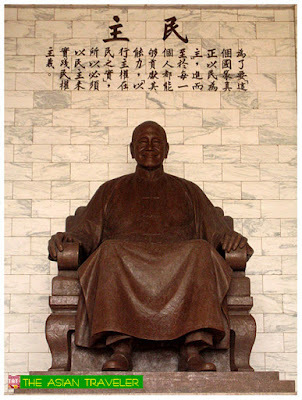 We took the elevator up to the fourth floor and we immediately met the Chinese leader Chiang Kai-Shek in a life-like 25-ton bronze statue sitting in the middle of the memorial hall smiling and looking dignified. 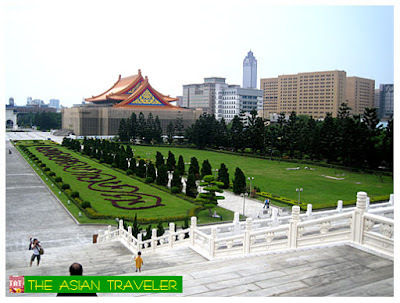 From the main hall, you can see the elegant Ming-style arch at the main entrance flanked by two classical-style buildings, the National Theater and the National Concert Hall. 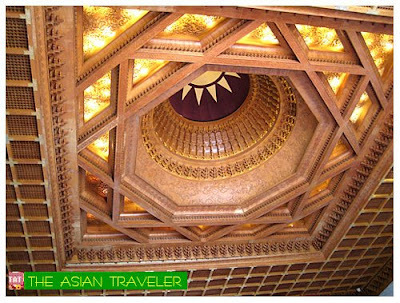 Apart from the bronze statue, there is also an elaborate round caisson placed into the ceiling, decorated with the emblem of the Republic of China. 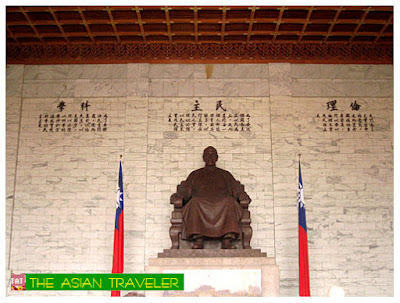 A flight of 89 steps (Chiang Kai-Shek lived to the age of 89) ascend to the entrance of the main hall. The immense square is said to be a popular gathering place during festive occasions such as concerts, festivals, performances and fairs. 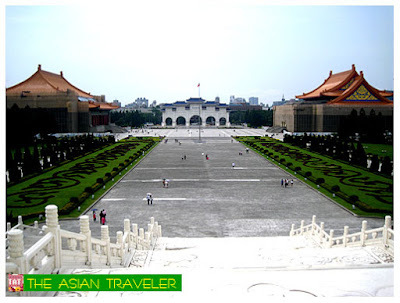 National Chiang Kai-Shek Memorial Hall is located at 21 Zhongshan South Road, Taipei, Taiwan. Opens at 9:00 am and closes at 6:30 pm. Free admission. 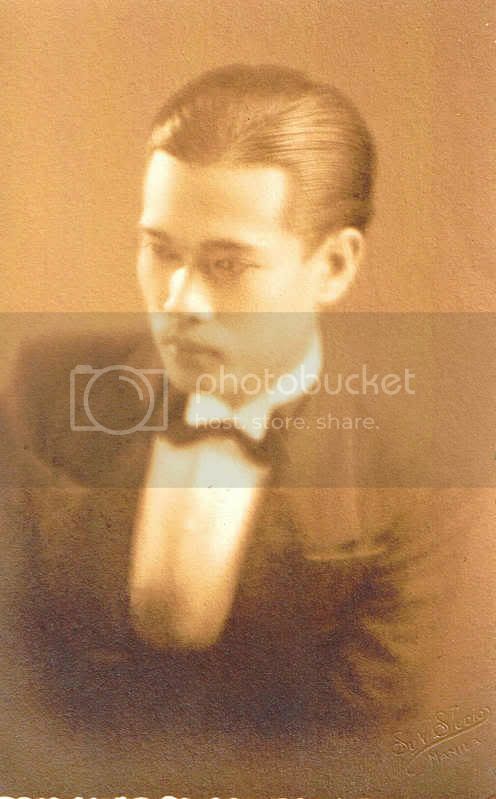 an engaging travelogue with great pics. 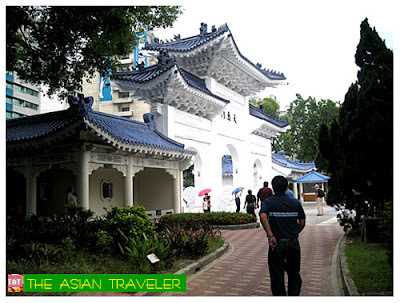 the chinese has a very unique architectural design..grand and majestic. Likewise, we never had the chance to go inside the galleries, that's one of the downside when you tour with a group. Thank you for the nice comment. :) I agree with you, their edifices are always meticulously designed and impressive in size. wow! i think if i had the chance to see it, ill be stunned! very beautiful! 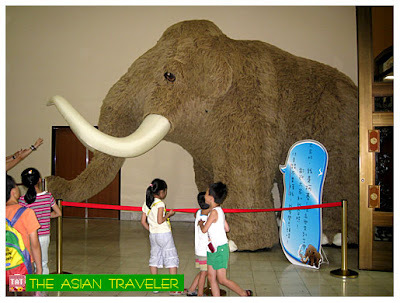 Maybe it's their one good ways to promote greater awareness of Taiwan. Welcome, thanks for the comment.